Our Pilots Folding Sunglasses feature a nickel frame & temple in a gold finish with an acrylic smoke color lens. The Lens has UV 400 protection and are scratch proof and foldable at the ridge. 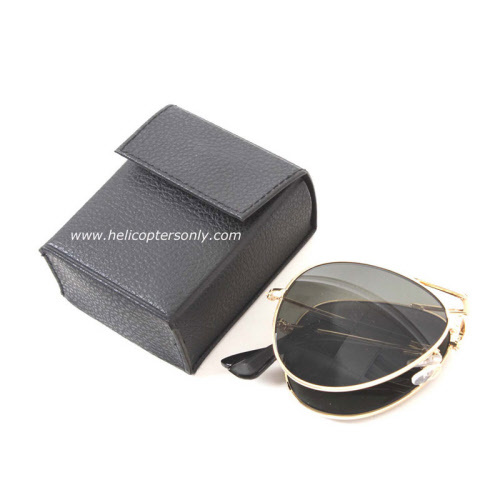 Each pair of sunglasses comes in a black carrying case with a hook & loop closure. The sunglasses also meet ANSI Z80.3-2001 standards. Lens - 68mm, Folded - 3" x 2"